Page 4 contains assorted ephemera. 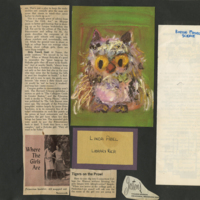 There is a Boston Museum of Science pamphlet from the 1960s detailing the museum's exhibits and floor plans at the time; an article on college guides to datesmanship; a short clipping on how boys can easily get into Connecticut College for Women; a color illustration of an owl; a small tag made of construction paper which reads "Linda Lee Abel Library Rep"; and a clipping of a Josten's logo. 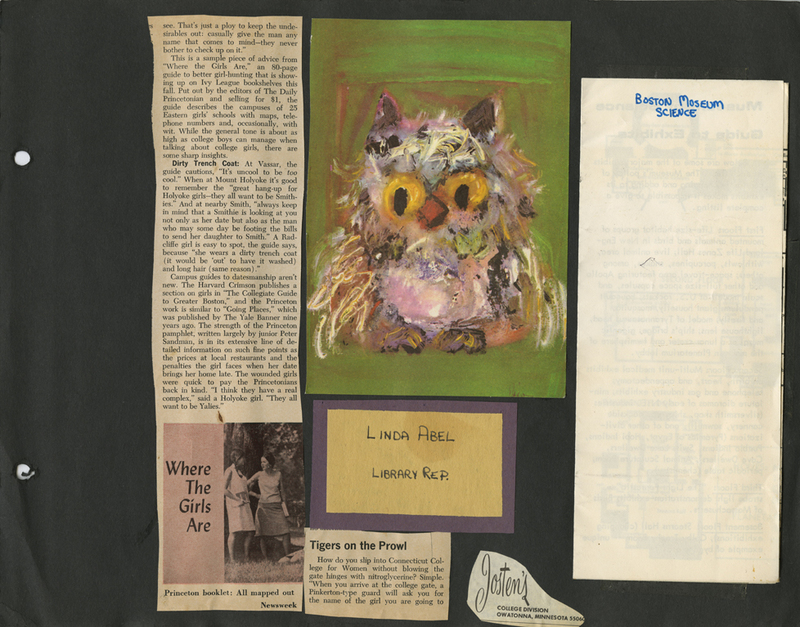 Abel, Linda Lee, “Linda Lee Abel Scrapbook Page 4,” Linda Lear Center Digital Collections and Exhibitions, accessed April 24, 2019, http://lc-digital.conncoll.edu/items/show/1084.